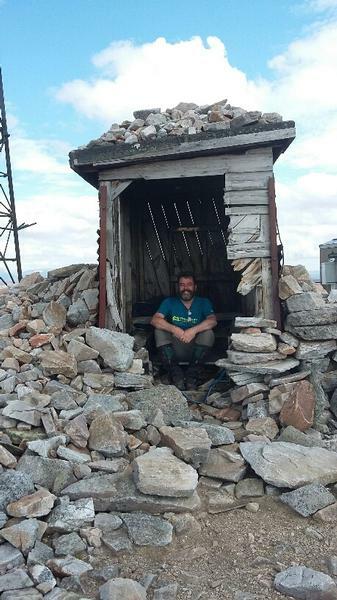 The Cairnwell is one of the easiest ascents for the beginner but also one of the least attractive, with its decoration of Chair lifts and Radio masts. The shape approximates to a triangular pyramid with the main ridge leading NW, and is the normal ascent route. The NE slopes are moderate but littered with skiing equipment. The slopes to the SW and SE are steeper and rocky. 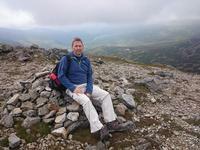 Heading to the Cairnwell from Carn Aosda. 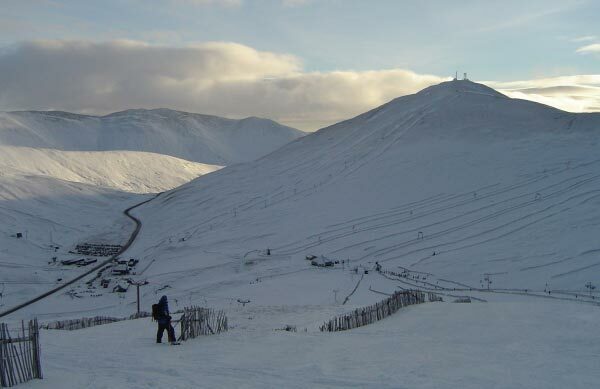 The Cairnwell from the slopes of Carn Aosda with Glenshee ski centre at the foot of the hill. 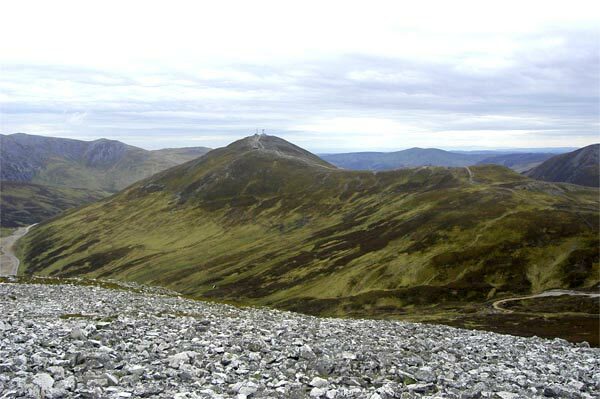 The summary information of one or more ascent routes that include The Cairnwell. 1 660 m 11.06 km 3.5 hrs Carn a' Gheoidh, The Cairnwell and Carn Aosda Easy route, on terrain partially scarred by skiing equipment. 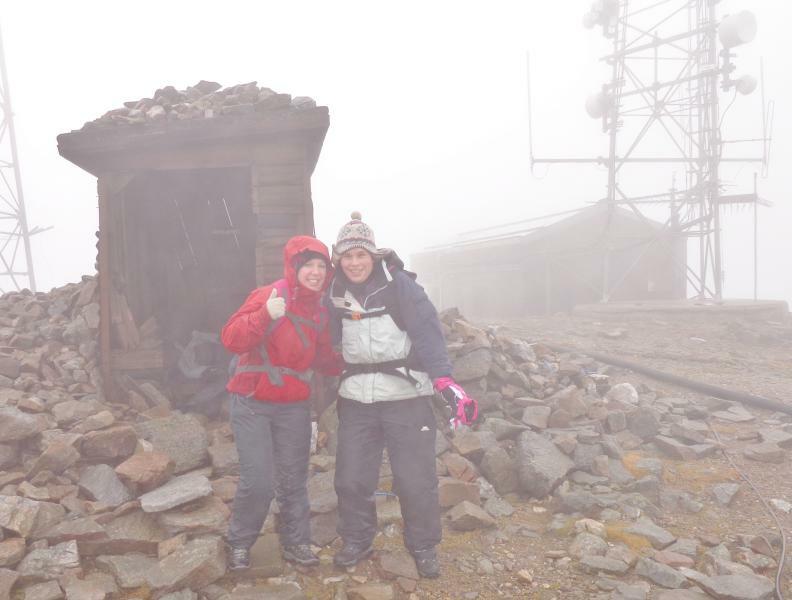 Cairnwell summit. Not the prettiest! Jorja on the Cairnwell. 1/1/16. Frosty. Post a few words about The Cairnwell or read what others have had to say. Climbed on 9/8/11 - really odd hill this one, which is as cluttered as it is made out to be. Thirty minutes from the car - something just not right about that. The views make up for it (a bit). Climbed The Cairnwell at probably best time - just after fresh snow in November. Most of ski clutter was under snow and ski runs were still ungroomed. Climbed this one last of Cairnwell 3, and best of all was the 5 minute descent on bums down a ski run! The only skiers (or anyone else) we met were 2 cross-country skiers near top of Carn a' Gheoidh. Utterly depressing place. Nothing more to say. Quite frankly it looks as if Sauron wanted to see how much damage he could inflict in one place before going on to occupy Mount Doom. This hill is a baggers dream and the easiest tick you'll ever get. 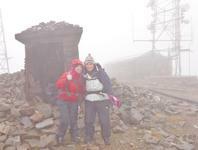 Nevertheless, it should consider itself very lucky that it just happens to be within the height range of the munro. There is nothing to commend the ascent of this hill. 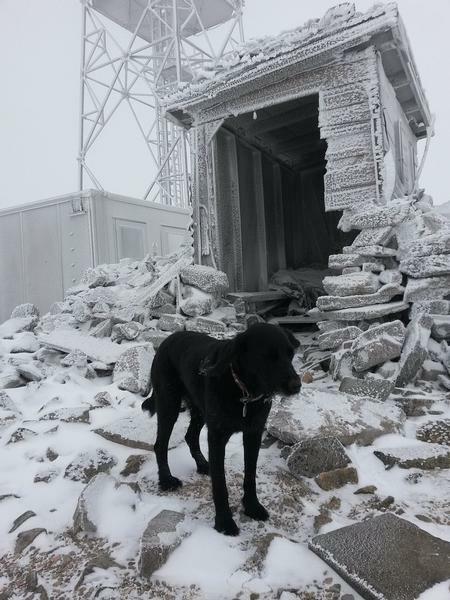 The summit is a mess and the overwhelming feeling is to leave the summit as quickly as possible. Steep ascent from the car park following the Cairnwell chairlift. 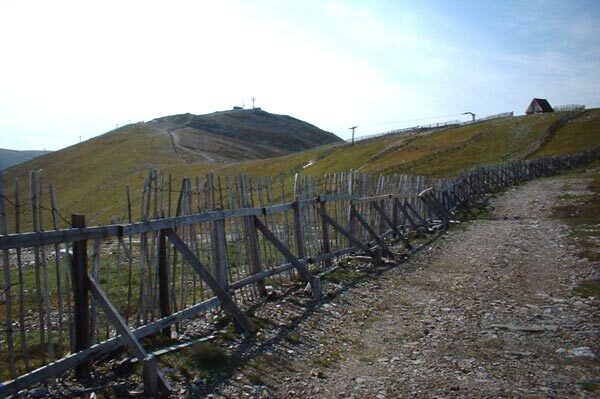 The summit itself is a disappointment, with electrical cables, debris, barbed wire and 'telecoms' debris strewn across the ground. One to climb when the mist is down! PS a thin covering of snow did not hide the debris! !